Why does capitalism require competition regulation? And how has the transformation of capitalism impacted the nature of competition regulation over time? Applying a historical materialist (critical political economy) perspective and focusing mainly on Europe, our research has addressed these issues (see Buch-Hansen and Wigger 2010; 2011 and Wigger and Buch-Hansen 2014). Drawing on this research, we summarize our answers to the two questions in what follows. Wallerstein (2000: 147) notes that ‘[c]apitalism as a historical system is defined by the fact that it makes structurally central and primary the endless accumulation of capital’. Capital is accumulated wealth that can be used to accumulate more wealth. The accumulation process is pervaded by several contradictions (Harvey 2014), inter alia because it is situated in the context of competitive corporate profit-seeking ventures. Competition is the engine that keeps capitalism alive but it is also the source of many of its problems. Competition prompts companies to be innovative, improve the quality of their services and products while at the same time keeping down prices. Particularly in terms of innovation, competition can certainly have positive effects. Capitalist competition however also has a range of severe negative economic, social and environmental effects (Wigger and Buch-Hansen 2013). From the perspective of companies, competition exerts downward pressure on profits – and in its strongest form it ‘strikes not at the margins of the profits and the outputs of the existing firms but at their foundations and their very lives’ (Schumpeter 1947: 84). Companies exposed to competition thus in many cases have an incentive to evade competitive pressures. Economic concentration in the form of mergers and acquisitions, or restrictive business practices such as cartels (i.e. agreements between competing firms to limit competition by for instance fixing prices or sharing markets) are measures that can lead to oligopolistic clusters that reduce – or eradicate – competition altogether. Karl Marx (1965: 138) famously suggested that competition is essentially a self-undermining process, which ‘pushes things so far as to destroy its very self’. He believed that all capital would ultimately be ‘united in the hands of either a single capitalist or a single capitalist company’ (1965: 627), effectively putting an end to competition (and eventually capitalism). A massive concentration of capital has indeed taken place over time but Marx’s prediction has not yet materialized, and in fact, is rather unlikely to materialize in the future. The main reason for this is the facilitation of capitalist competition by the regulatory state apparatus, notably the implementation of competition rules which regulate the intensity of market competition, set the conditions for economic concentration and corporate access to new markets, or the scope of economic freedom to conclude cooperative agreements of all sorts. Competition regulation can for instance target mergers, cartels, the abuse of market dominance and state aid. Competition regulation can thus aim to stabilize the capitalist accumulation process by compelling or coercing capital owners to reinvest accumulated surplus capital to create even more surplus. The capitalists who accumulate more quickly tend to drive those out of business who accumulate at a slower rate. In the absence of regulation, competition – and eventually also the continued accumulation of capital – is undermined. To be sure, competition regulation is only one out of many stabilizers on which capitalism depends for its expanded reproduction. Financial regulation, industrial and trade policies, healthcare or public education are but a few examples of the numerous other potential stabilizers. Stabilizations are by definition fragile and temporary, which is due to the contradictory and inherently dynamic nature of capitalism. Occasionally capitalism enters deep crises in the wake of which new stabilizing regulations and institutions emerge as the result of political struggles. Crises are thus also moments that may lead to profound changes in the way capitalist competition is regulated. Today competition regulation is at the heart of economic governance in almost all advanced capitalist economies. Yet competition regulation did not always form part of the ensemble of institutions stabilizing the accumulation process. Prior to the 1920s, and as part of a liberal form of capitalism, competition remained largely unregulated in most countries, which resulted in massive economic concentration and countless privately imposed competitive constraints such as cartel agreements. For example, in Europe, the German industry was heavily cartelized: in 1910, there were about 700 cartels and twenty years later, about 3000 (Schröter 1996: 132). The US was the pioneer in the field of competition regulation. The 1890 Sherman Act prohibited large ‘trusts’, a form of cartels which set prices and output limitations for entire industries and coerced suppliers and distributors to accept their conditions. As trusts eradicated smaller competitors and dictated high prices for customers, a broad based movement including farmers and small companies demanded antitrust legislation. The Sherman Act subsequently ruled out ‘every contract, combination in the form of trust or otherwise, or conspiracy’ that restrained interstate or foreign trade and forbade ‘attempts’ to monopolize. In Europe, competition rules – more specifically cartel rules – were introduced in the 1920s but particularly in the 1930s in response to the Great Depression. The crisis was widely perceived of as a product of the liberal form of capitalism, which led to a transition towards a more regulated economic system. The purpose of the adopted cartel rules was generally not to prohibit cartels. At this juncture, the prevailing view was that competition was in principle desirable but that there could also be good reasons for limiting it. Indeed, it was believed that the economy could benefit from cartelization, such as by allowing domestic companies to become internationally more competitive. It was not uncommon for governments to encourage or even force companies to enter such agreements. The rules that were introduced generally had as their main purpose to prevent merely the abuses of cartels: in many countries companies were thus required to notify the authorities of their cartel agreements. The era after the Second World War is often labelled as “embedded liberalism” (Ruggie 1982), which refers to a social order characterized by Fordism at the level of production, Keynesian-inspired macroeconomic and social policies at the level of society and state, and the Pax Americana at the level of the overall organization of the capitalist world system (Overbeek 1990: 87). This order was underpinned by a class compromise between organized labor and national industrial capital, mediated by the state, and in the context of European integration, also the European Economic Community (EC) which came into being in 1958. The view of competition that had prevailed before the war in Europe continued to inform competition regulation also after the war. In many Western European countries, including Germany, France and the UK, competition rules were adopted in the post-war years. Competition rules also formed part of the treaties establishing the European Coal and Steel Community in 1951 and later the EC, adding a supranational level to the regulation of competition. The treaty establishing the EC prohibited cartels and restrictive business practices as well as the abuse of dominant positions, and contained rules on public undertakings and state aid. The treaty primarily sought to abolish all sorts of barriers to capitalist competition in order to allow for the gradual reconfiguration of several national markets into one European single market. At the same time, it also reflected the prevailing post-war view of competition by allowing for various anti-competitive practices through a generous legislative framework of exemptions for state aid and anticompetitive agreements that potentially could fall into the category of a cartel. Moreover, the treaty did not include any rules on mergers, thereby allowing for economic concentration and even oligopolistic market structures. The European Commission’s Directorate General (DG) for Competition was entrusted with far-reaching investigatory and discretionary decision-making powers in the enforcement of competition rules. In the 1960s and 1970s, the DG Competition took a lenient approach towards economic concentration. This was not only due to the absence of EC level merger control but also a deliberate choice not to enforce the treaty provisions prohibiting the abuse of dominance. The Commission was similarly reluctant to interfere with national industrial policies: it did not tackle the preferential treatment of state-owned companies, or state aid granted to private companies and entire industrial sectors. This overall disinclination to enforce certain competition provisions buttressed the Fordist accumulation process, according to which large national companies engaged in industrial mass production of cheap consumption commodities could exploit economies of scale and scope. EC competition regulation thereby sustained the national industrial strategies to create national champions, large enough to face the “American challenge” – the competitive threat posed by the much larger and technologically more advanced US companies (Servan-Schreiber 1968). During the embedded liberal era, the developed capitalist world experienced an exceptional economic boom, which is why the period is referred to as the “golden age” of capitalism (Hobsbawm 1994: 258-61). By the early 1970s, the golden age ended as the world economy entered a deep crisis, which became manifest in the West in the form of a profit squeeze, mass unemployment, overcapacity in several manufacturing sectors and saturated markets. To restore corporate profits and capital accumulation, the stagnating European integration process was relaunched from the 1980s onwards. A neoliberal form of capitalism gradually began to take shape. Whereas the post-war economic order had been underpinned by social compromises between organized labor and nationally oriented industrial capital, neoliberal restructuring was driven by transnational industrial and increasingly financial capital, at the expense of organized labor and other capital fractions. Neoliberal policies aimed at facilitating free market access and free competition, alongside a rollback of the welfare state, a monetarist focus on keeping inflation low, reduced corporate taxes and fiscal austerity, as well as reduced labor costs in the form of wage repression and deregulation. Neoliberal policies, in short, came to sustain a capitalist order in which the dynamics of competitive accumulation of capital can proceed largely unhindered and uncontained. As part and parcel of this neoliberal turn, European competition regulation was profoundly transformed at both a national and supranational level. Competition regulation was increasingly refocused in the 1980s and 1990s to benefit internationally competitive and transnationally operating companies. Whereas the Commission had tolerated certain forms of cartels until the 1970s, it started to prosecute them with unparalleled vigor from the mid-1980s onwards. In addition, various forms of direct and indirect state aid such as subsidized loans, tax concessions, guaranteed procurement, financial guarantees and export assistance were targeted. Moreover, an EC merger control regulation was adopted in 1989, transferring the control of large cross-border mergers from the national to the supranational level. This regulation was neoliberal in the sense that it stipulated that mergers were to be assessed solely on the basis of their effects on competition. To this date EU competition regulation continues to be informed by neoliberal ideas. Neoliberal regulations seek to enable and stabilize capital accumulation on a transnational scale. After the 1970s, the production process transnationalized, breaking down and functionally integrating ‘previously national circuits into new global circuits of accumulation’ (Robinson 2004: 10, 11). In parallel to the emergence of transnational accumulation circuits, an internationalization of competition regulation has taken place. For instance, the International Competition Network (ICN) was, with the strong support of transnational business interests, established in 2001 as a mechanism to further global convergence in competition regulation. Today more than a hundred competition authorities participate in the ICN. The network’s informal and non-binding ‘best practices’ machinery has made it possible for corporate actors to play an important role side-by-side with the dominant competition authorities in removing obstacles to the free flow of market forces in the accumulation of capital. To recapitulate, over time, the substantive nature of competition regulation has been transformed alongside the broader transformation of capitalism, reflecting prevailing ideas and power relations among social forces. The social purpose of European competition regulation changed considerably over time. In the era of embedded liberalism it tended to serve a neo-mercantilist purpose, being oriented towards fostering national or European champions by allowing for certain distortions of competition. In the era of neoliberalism, and thus to date, competition regulation serves as a market-opening device that exposes previously protected domains and companies to competition. Buch-Hansen, H. and A. Wigger (2010) ‘Revisiting Fifty Years of Market-Making: The Neoliberal Transformation of European Competition Policy’, Review of International Political Economy, 17(1): 20-44. Buch-Hansen, H. and A. Wigger (2011) The Politics of European Competition Regulation. A Critical Political Economy Perspective, London and New York: Routledge. 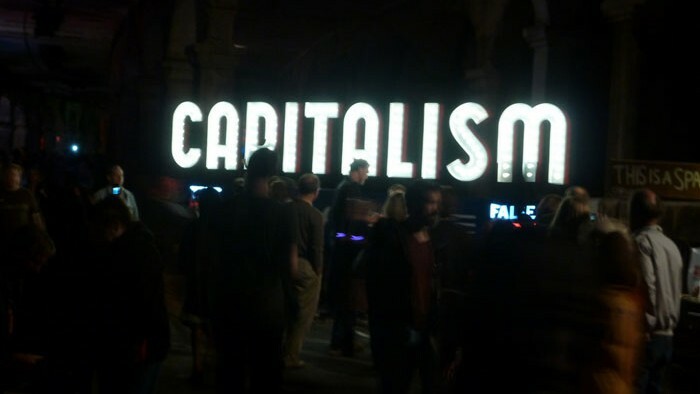 Harvey, D. (2014) Seventeen Contradictions and the End of Capitalism, London: Profile Books. Hobsbawm, E. (1994) Age of Extremes: The Short Twentieth Century 1914-91, London: Michael Joseph. Marx, K. (1965) Capital Volume 1, Moscow: Progress Publishers. Overbeek, H. (1990) Global capitalism and national decline, London: Unwin Hyman. Robinson, W. (2004) A Theory of Global Capitalism. Production, Class, and State in a Transnational World, London: Johns Hopkins University Press. Ruggie, J. (1982) ‘International regimes, transactions, and change: embedded liberalism in the postwar economic order’, International Organization, 36(2): 379–415. Schröter, H. (1996). ‘Cartelization and Decartelization in Europe, 1870-1995: Rise and Decline of an Economic Institution’, The journal of European economic history, 25(1): 129–153. Schumpeter, J. (1947) Capitalism, Socialism and Democracy, 2nd edn, New York: Harper & Brothers Publishers. Servan-Schreiber, J. (1968) The American Challenge, London: Hamish Hamilton. Stanford, J. (2008) Economics for Everyone, London: Pluto Press. Wallerstein, I. (2000) ‘A left politics for the 21st century? or, theory and praxis once again’, New Political Science, 22(2): 143–59. Wigger A. and H. Buch-Hansen (2013) ‘Competition, the global crisis and alternatives to neoliberal capitalism. A critical engagement with anarchism’, New Political Science, 35(4): 604-626. Wigger A. and H. Buch-Hansen (2014) ‘Explaining (Missing) Regulatory Paradigm Shifts. EU Competition Regulation in Times of Economic Crisis’, New Political Economy, 19(1): 113-137. Hubert Buch-Hansen is Associate Professor at Copenhagen Business School. Together with Angela Wigger, he is the author of The Politics of European Competition Regulation: A Critical Political Economy Perspective (Routledge 2011). His research on competition and competition regulation has also been published in several journals, including Review of International Political Economy, New Political Economy and, most recently, JCMS: Journal of Common Market Studies. Angela Wigger is Associate Professor Global Political Economy and International Relations at the Radboud University. In addition to researching competition and competition regulation, the global economic crisis, crisis responses and power configurations with respect to political resistance constitutes a focal point. She has published in journals like Journal of Common Market Studies, New Political Economy, Review of International Political Economy and Capital and Class.